Take 10% OFF All Rothsport Products! If you’re looking for the perfect upgrades to get your Porsche into exemplary shape before you hit the track or maybe canyon roads then look no further. Rothsport has over 30 years of experience in maintaining, modifying, and racing Porsche cars and thus have developed a unique line of products for your engine, chassis and transmission. Take advantage of these savings from now through September 6th by entering promo code ROTH10 at checkout! 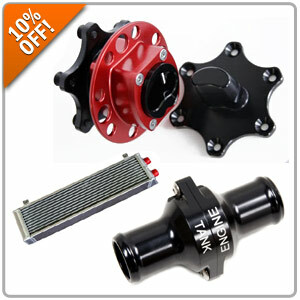 Receive 10% OFF All Rennline Products! Now’s the time to take advantage of 10% OFF all Rennline product to enhance the look, feel and performance of your Porsche. Rennline is an industry leader of unique aftermarket parts that focus on the highest standards of quality. All of their components are designed, manufactured and assembled in house. Pick up a set of pedal sets, floor boards, strut braces, engine mounts, alternator straps, battery mounts, engine cross bars and so much more! Be sure to enter promo code RENN10 at checkout. Offer valid from September 2nd through the 4th only! So check back for this discount on the 2nd! 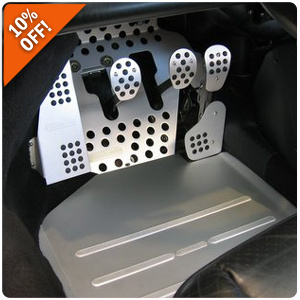 CLICK HERE to purchase yours for Porsche! 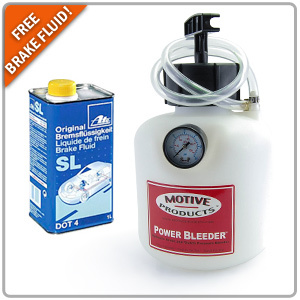 FREE Brake Fluid with every Motive Power Bleeder! Why not make your next brake bleeding project a breeze and mess-free with the MOTIVE Power Bleeder? There are several Power Bleeders to choose from and when you purchase one of their kits you will receive 1 FREE liter of ATE SL DOT 4 brake fluid saving you $10 off your next brake bleeding job! Don’t miss out of this offer going on now through September 6th! Last edited by Luccia at Pelican Parts; 08-30-2017 at 10:50 AM.